Gold River, B.C. 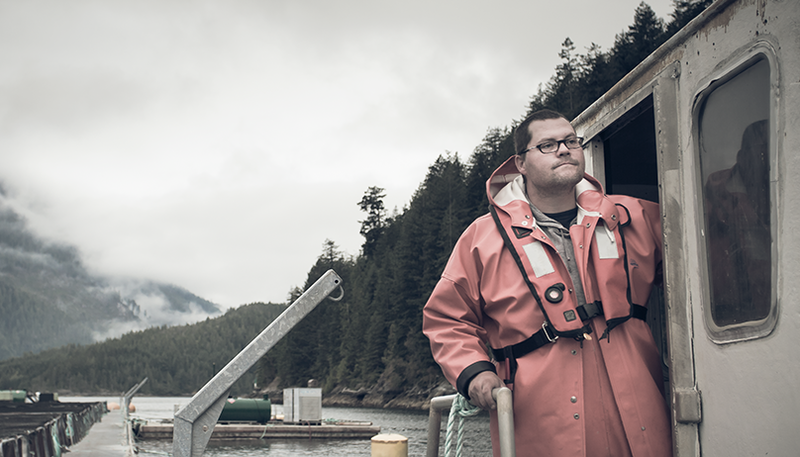 (August 30, 2017) — Skuna Bay, Vancouver Island Craft Raised Salmon is donating $10,000 to the American Red Cross in support of those affected by Hurricane Harvey. In addition, we will accrue up to $0.50/lb on sales this week to put towards other future support of Hurricane Harvey relief. We ask those in the seafood industry including our distributor partners, customers and even competitors to come together in support of relief efforts and to match our support for those in need. GOLD RIVER, BC (AUGUST 25, 2017) — Skuna Bay Salmon is proud to be a part of this year’s US Open, as Vancouver Island Craft Raised Salmon will be on food menus and served to guests at the world class tennis tournament held August 28th through September 10th at the USTA Billy Jean King National Tennis Center in Flushing Meadows, NY. Renowned Michelin-star chef Ed Brown has incorporated Skuna Bay Salmon into the menu at ACES, US Open’s signature seafood stop and it will also be available at various food kiosks throughout the Open venue. Skuna Bay joins food and beverage brands like Grey Goose, Heineken and Evian that will be offered at the elite US Open. Skuna Bay is in search for Salmon Specialists to fill (2) spots. I am reaching out to update you on the latest issues in salmon farming sustainability and developments in third-party certification, topics that have been highlighted in the recent past. The most recent development was an announcement in the past week by the Monterey Bay Aquarium that it will immediately classify any farm that holds ASC (Aquaculture Stewardship Council) certification as a “yellow” rated producer. Many are wondering what this means and what the details are surrounding this and of course wanting to understand what our operation’s plan is around this. First, it is important to state that our vision at Skuna Bay is to produce the world’s consistently best in class (and quality) salmon and in doing this, help to reduce pressure on wild fish populations. In doing this we must be responsible in our rearing habits. All of these goals are mutually reliant upon one another – in order to be the best we have to also have very high standards for responsible rearing habits.